Random Anny .Com: Kids write the Best Hate Mail! Kids write the Best Hate Mail! Remember when you were little and the worst insults centered around your smell, mom or like/dislike of others? Combine them all and tears were guaranteed. 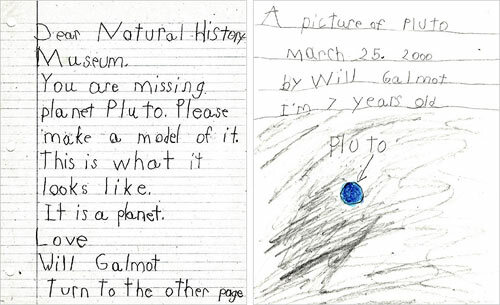 I would have hated to be the guy who decided Pluto wasn't a planet about a decade ago. It looks like his mailbox was chockful of kidtastic irateness. 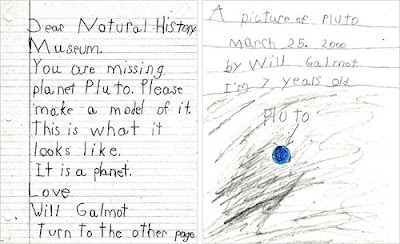 Luckily he decided to publish a book (The Pluto Files: The Rise and Fall of America's Favorite Planet) about Pluto's fall from Planet Status and include loads of tragic kid letters as illustration.